Product information "Ein Jahr mit den Bienen"
What do bees do in winter? How do they find nectar? And why would we not have enough to eat without bees? 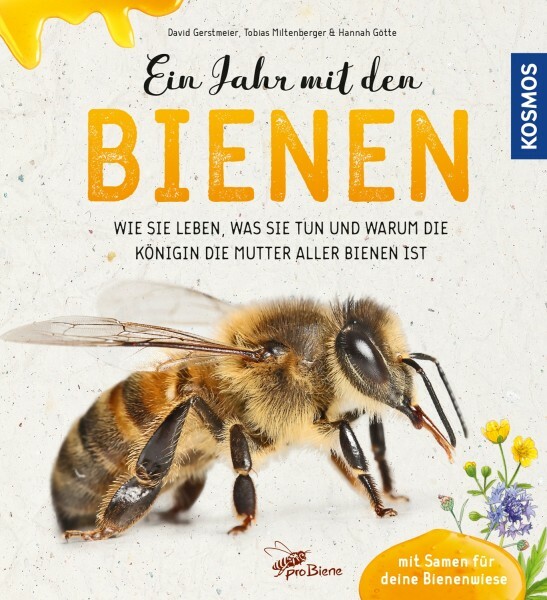 This book stimulates curiosity about the busy creatures, describes the life of the hive during the course of the year, and explains how you keep bees ecologically. It also contains numerous tips for activities, such as how to prepare food and housing for wild bees or how to observe honey bees up close without being stung.